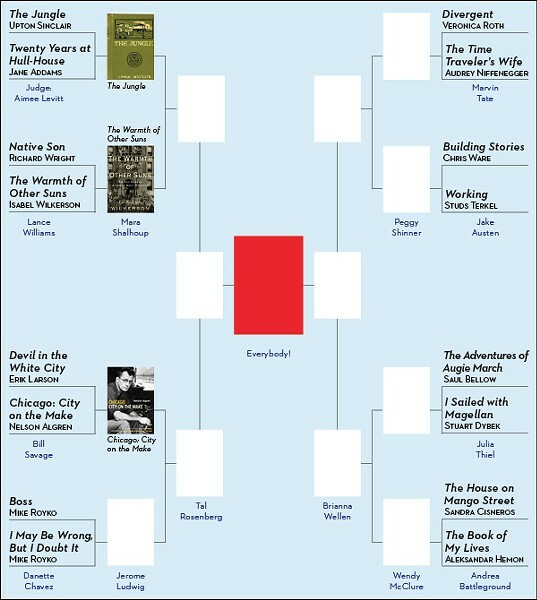 This week, in round one, bout three, Bill Savage, a professor at Northwestern; coeditor of, among other books, Chicago by Day and Night: The Pleasure Seeker's Guide to the Paris of America and the 50th anniversary critical edition of The Man With the Golden Arm; and bartender chooses between Devil in the White City by Erik Larson and Chicago: City on the Make by Nelson Algren. To see the results of previous bouts, look here. 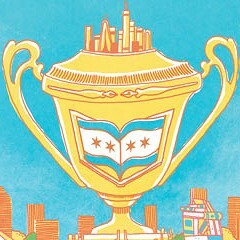 OK, Chicago Reader readers: not to say the fix is in, but let's be real. 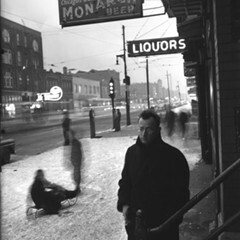 As coeditor and annotator (with David Schmittgens) of the 50th anniversary edition of Nelson Algren's Chicago: City on the Make, I'm as impartial as an 11th Ward Democrat deciding whether to vote for a Daley. This first-round match was in the bag before the editor pitching it hit "send" on her e-mail. 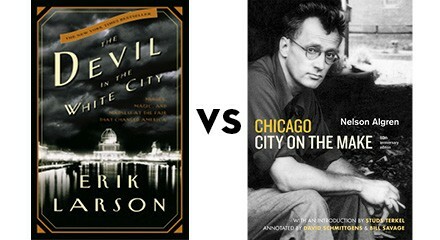 Pitting Algren's nonfiction masterpiece against Erik Larson's popular and deeply flawed Devil in the White City is a mismatch like unto the 1919 White Sox taking the field against the Jackie Robinson West All-Stars. However good those kids might be, they're not major-leaguers. But let's give Devil its due. Like Republican political advertising, the book's success demonstrates the power of narrative over history and style. Larson structures his history in the form of a suspense novel, with build-ups to cliffhanger chapter endings. Will Daniel Burnham get the 1893 World's Columbian Exposition done on time? Will H. H. Holmes get caught for his dastardly deeds? Anyone with a cursory knowledge of Chicago history knows the answer to these questions, but the narrative shaping sweeps any generous reader along, and Larson has introduced many readers who knew none of this to some Chicago history. Nonetheless, the events Larson retells, beyond happening in the same city at the same time, have only the most tenuous of thematic connections. 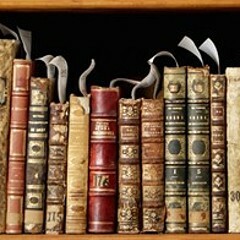 But that lack of depth seems beside the point to legions of happy readers. I've taught the book twice, and it does a decent job of bringing its era to light. (Other writers have picked at its many factual errors, so I'll let them go; that's the rhetorical device apophasis, by the way.) My students did identify one interesting idea buried in the narrative: the story of Holmes and his victims shows that the freedom that Chicago offers inevitably comes with danger. Devil in the White City says nothing about the Fair or Burnham or Holmes that others haven't already better said elsewhere. Its retelling of history is more a rehash of old ingredients than a vital reimagining of history. 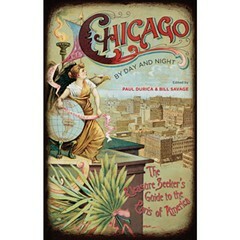 But the real reason that Devil in the White City loses to Chicago: City on the Make is more about poetry. Larson's book does not have a single memorable, much less quotable, line. This match ain't Tunney-Dempsey, no need for a long count, but let's go. Ponder ongoing depictions of the urban landscape as inherently lawless, uncivilized, unnatural. And since it's a ninth-inning town, the ball game never being over till the last man is out, it remains Jane Addams' town as well as Big Bill's. The ball game isn't over yet. Ponder the election laws that favor incumbents, the "nonpartisan primary" that almost guarantees reelection for Rahm Emanuel, the way reform in this town is always one step forward, three steps back, one step sideways into Bubbly Creek, and then start over. Ponder the inordinate affection people have for this town, a place that is so battered and beaten, yet so entrancingly beautiful, and how we are perhaps all complicit in the violence that mars its beauty. Ponder the proud parochialism of belonging to this place, how north-siders and south-siders scrap over bogus ideas of authenticity, and how the whole town unites whenever a New Yorker says anything less than flattering about our burg. Ponder Jerry Springer, Oprah Winfrey, any network TV show shot here, along with the open affection displayed for Al Capone and his Outfit descendants. Ponder McCarthyism and the Bush doctrine, blacklists and red scares and the NSA's do-not-fly List, the cold war and the global war on terror, the Red Squad infiltrating pacifist groups, and CPD units swabbing "randomly chosen" commuters at el stops for bomb residue on their bags. Ponder how far we haven't come. Ponder Ferguson and our own neighborhoods where life is defined by violence. Few books in the history of Chicago, or America, have ever expressed the fundamental reality of this town, and this nation, in words that sing the truth, and sing it in words that resonate for generations, like Chicago: City on the Make. 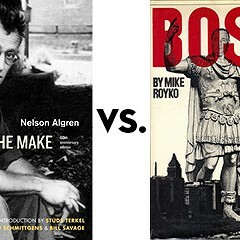 Only 28 percent of you voters made the connection between Savage the judge and Savage the Algren scholar and correctly predicted his ruling. 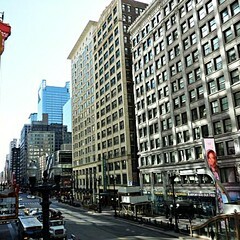 Think more like a Chicago politician when you vote in round two, starting January 13.